Nancy is a Principal with SVA and has eight years of professional experience in management consulting and international development. She has worked on a range of projects at SVA, with a focus on outcomes monitoring and evaluation and strategic planning, for non-profit organisations and corporate funders. Recently, Nancy worked on a long-term impact assessment for Indigenous organisation Ganbina – read the assessment report she co-wrote for the project. Prior to joining SVA, Nancy worked as a consultant on several development programs in Nigeria and Tanzania with TechnoServe, an international non-profit organisation focusing on business solutions and market based approaches to addressing poverty. In Australia, she was a Senior Business Analyst with A.T. Kearney and delivered strategic consulting projects to corporate clients from a range of sectors. 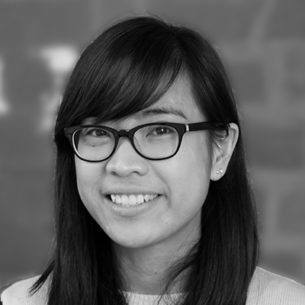 Nancy holds a Bachelor of Engineering (Hons) and Bachelor of Computer Science from the University of Melbourne, and a Graduate Diploma in International Development from the University of London. Nancy has shared her insights on outcomes management in a useful blog post, as well as her experience with the portfolio approach to corporate social investment in this article.